So one week down. Not a big week for purchases, but I definitely have a greater consciousness about how much money I have in my wallet, what purchases I need/want to make, and when my next pay period is (Thursday if you were wondering). 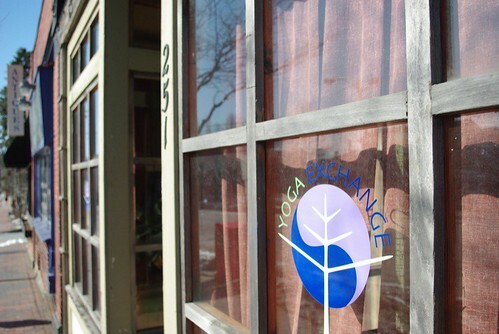 Saturday morning yoga class at The Yoga Exchange, which is dangerously close to my favorite yarn shop. In a fit of high school nostalgia, Cake's Fashion Nugget and some Monty Python Flying Circus from Bull Moose. 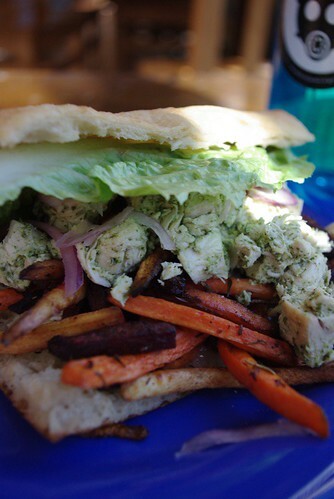 A chicken and roasted root vegetable sandwich, extra roots, from O'Naturals between yoga and rehearsal.